Ahead of the ABU Radio Song Festival 2015 in Myanmar this Friday we talked to this years Indian participants Peepal Tree. Here is what the band had to say. Thank you very much for talking to us, it’s now just a month to go until the ABU Radio Song Festival 2015 how are you feeling? We’re really excited! This will be our first time performing outside the country as Peepal Tree, so it means a lot to us as a band. We’re hoping to leave an indelible mark on our audience, and we hope we can get involved in the local music scenes of our hosts, Myanmar, as well as those of all of the participating countries! 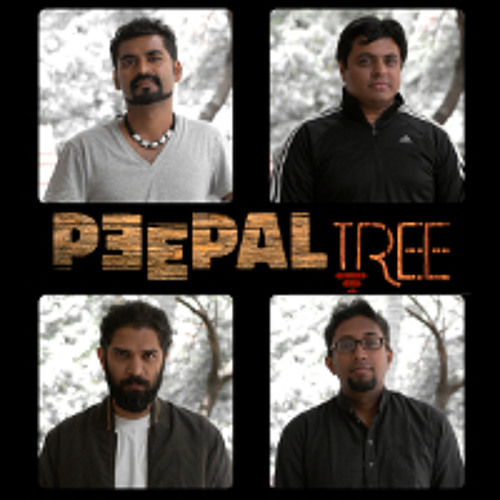 Can you tell us a little bit more about yourself and how Peepal Tree as a band came about? We’re an Indian band, based in Bangalore, in the southern state of Karnataka. Our music for the most part is tri-lingual, our songs being a mix of Kannada, Hindi, and English. There are four of us : Wilfred Demoz (Drums, Percussion, Computers), Praveen Biligiri (Bass, vocals), Sujay Harthi (Vocals), and Tony Das (Guitar, vocals). The members of Peepal Tree have been playing music with each other in many different types of bands for about 13 years now, but decided to come together with this particular music when Sujay felt that he wanted an outlet for his years of Hindustani Classical vocal training. Some demos were worked on, but then everyone got busy again, and the then-nameless project was sidelined indefinitely. Two years later, Wilfred (aka Willy) decided to step down from his drumming duties with one of India’s biggest artists. Sujay then played Willy some of the early demos from a couple of years before, and Willy saw tremendous potential. he started to provide the push that the band needed to get cracking on all the unfinished work! You are a relatively new band so representing India on the international stage must be a huge achievement for you? Anytime you get the opportunity to represent your country on an international platform, you must consider yourself extremely privileged. It’s a huge honour, and we feel it’s a great opportunity as well. We’re really grateful to have been chosen, and understandably, we’ve gotten a big confidence boost in our music because of it! But we also realise it’s a great responsibility, and we’re working on putting on the best show possible! Now you are representing India at this years festival, how did that come about? Well that was pretty straightforward. We’d heard about the festival and how great a stage it would be to play on, so we wasted no time in seding our submission in to All India Radio. Then we waited for the results. And then we were selected! Your song is called “Nayi Khushi” can you tell us what the songs lyrics are about and what the song means to you? Nayi Khushi is a song about wonder and joy at the mystery of life and of who we are as individuals and as humanity as a whole. It’s about realizing that all life and creation is beautiful. Sometimes, we don’t know how to express all these thoughts and realizations, but that doesn’t make them any less real.We try to look for answers to all of our questions about our lives and origins, and very often in our search, we find ourselves back where we started. So maybe the answer is to keep asking questions. All of these thoughts, questions seemingly without a beginning or an end – sometimes they can overwhelm us. With wonder. With joy. But the innocence of our wonder and our awe should not fade. We have to try to hold on to all of these things as best we can.With this song, as with most of our songs, we composed the music first, and we had the whole song fully composed before putting any lyrics down. Our good friend Waseem Chisty wrote these lovely lyrics for us, and we found they fit the mood of the song perfectly! This song means a lot to us, especially Wilfred (Demoz, drummer) because I had written it a long time ago for another band that he and I were supposed to be in. It is also the first Hindi song that we put out on our soundcloud page, and in the span of a day, got as many plays as our previously highest played song had gotten in 6 months! We were thrilled! What are you expecting to get out of your experience at the ABU Radio Song Festival 2015? Well, we’re primarily looking at showcasing our music to the world! We’re hoping to meet promoters, media people, and anyone who is interested in helping us take our music to the next level, in terms of visibility! But we’re also looking at meeting some of the fantastic musicians that we’ll get to play alongside, and making lots of great new friends. The icing on the cake would be to get to collaborate with some of the artists there. That would be fantastic. And lastly, time permitting, we’d like to take in some of the beauty of Myanmar! After the festival what are your plans? Well in keeping with the last part of that last question, we’d like to relax and take in the sights a little bit. But. If there’s any chance of getting to play any more music before we leave, we’d love to be able to do that too! Anything! A pub gig, a busking gig, going into the studio and working on a track with one of the other artists… We LOVE playing and making music, so we’re open to doing some serious work before we leave! Finally do you have anything you’d like to say to the readers of Eurovoix.com and your fans? We wish Peepal Tree all the best for the festival this Friday and for their future.